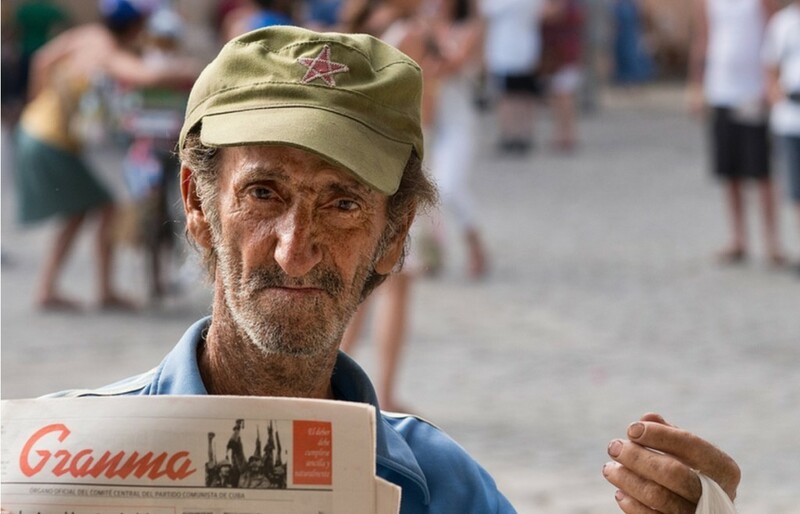 | What can journalists do for Cuba? In 2014 the organization Reporters Without Borders drew the list for the “100 information heroes”. These are journalists from 65 nationalities who denounced crimes against humanity. Ranging from 25 to 75 years of age, they report from the most solid democracies to the most authoritarian regimes. They are brave men and women who have suffered gunfire, bombs and torture to show the truth to the whole world. Even the countries where freedom of expression is most respected produced their journalist heroes. The journalists Glenn Greenwald and Laura Poitras showed the American and British citizens the surveillance methods used by its intelligence services. Others like Dawit Isaac bore the burden of the most authoritarian countries in the world. The African journalist has spent over 13 years in the prisons of the dictator Isaias Afeworki in Eritrea, a nation near the Horn of Africa. In 2014 this country ranked last in the World Ranking of Freedom of Press. These journalists are facing governments as well as the mafias. Many of them have exposed the actions committed by the organized crime in Sicily, Chechnya, Bulgaria, Vietnam and Malaysia. For those who want to know, their names and their stories can be read on the website of Reporters Without Borders. In this list there are also Cubans. They are Angel Santiesteban Pratz, for his criticism punished by imprisonment, and Yoani Sánchez, for reporting on the social and economic problems in Cuba. Today we have many Cuban and independent media. Thanks to them, we know about the small and hidden news, about what happens in every corner of the island. This is how we learned about the death of a 14 year-old girl in a building collapse in Centro Habana. It was sources such as ICLEP and DiariodeCuba.com that reported this news on August 27 of 2014. And remember that the poor conditions of the buildings is not just a problem of lack of comfort, but a constant danger to human lives. “Undoubtedly, in the history of journalism, sloppy work and bad intentions abound, but it collects a long series of examples that prove how the great successes of the profession are even more abundant, and are a source of pride”. These shortcomings that journalism often displays are also the result of what we ask or fail to ask. The stories of Reporters Without Borders show that even a democratic country can have challenges in expressing their views. It also shows that the censorship in authoritarian countries is never enough to overshadow those who decide to seek the truth. Between repressive governments and ruthless mafias, reporters make their way to break the news. Is not enough for the brave to do their job. We must also reach out to them. If we become citizens seeking truth like water in the desert, censorship will not have much scope. Good journalism needs our encouragement. If we prefer the biased and speculative news, the press will have to surrender to the media show. The media can only do a bad job if we settle for superficial information. The journalists that take risks and discover the truth, those that illustrate all possible interpretations of the facts and portray reality transparently, what are they good for if no one is going to read their stories? Outside as well as inside, Cubans always have challenges to know the truth, but we also have the means. Whether it is those that can go online, or watch a foreign TV channel, or find out by word of mouth, there are always ways to know what is happening. “I firmly believe that we, the journalists, with our papers and pens, with our laptops and satellite connections, with our cameras and television crews, we can make a difference, we can help make the world a better place”. The academics Daron Acemoglu and James Robinson in the book “Why countries fail”, say that the media are crucial for achieving democracy and therefore economic growth. Elections can sometimes go wrong, and politics can be corrupted. But whenever there is a defiant media, the vicious circle can be broken.